She let the thought rattle about in her head for a while and when she returned she called the maintenance team to her. Three days later the workshop was producing more toys by the hour. Santa wasn’t worried as he had a date on the 25th with a dog called Bob who was currently stashing marshmallows in his christmas stocking. The deal was, Santa would trade his jelly babies for Bob’s marshmallows, then it would be home to smores and more smores. It was snowing and yet the huge green ogre named Breeze was asleep. He was tucked onto his favorite branch high in the tallest oak tree in the wood. 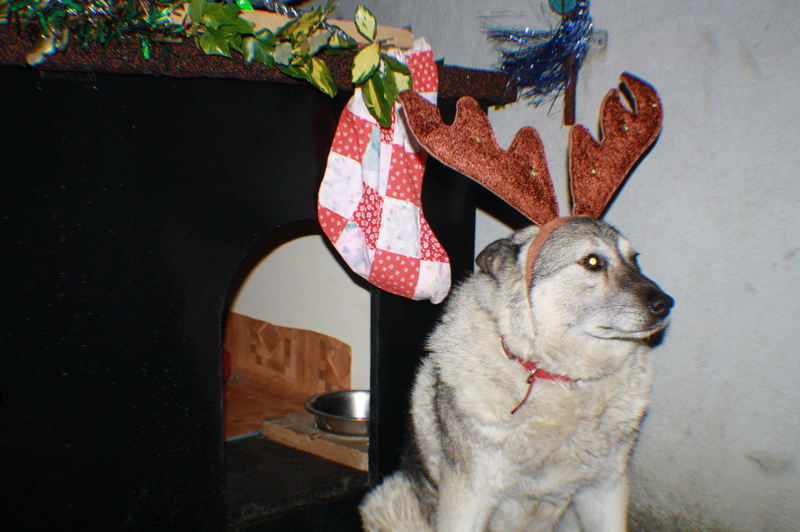 His excuse was – he was keeping watch for Santa. However when Breeze bumped into Lovisma, he lost his happiness. For she had hold of a wooden santa claus and was dangling him upside down. “I’ think I should fly up to the moon and drop him, lets see him fly then, ” she giggled at her own joke. Lovisma instantly dropped the wooden Santa and flew away. Breeze told Lily some jokes to cheer her and then they made a giant snow rabbit before they both went home for tea. All evening long Breeze thought about the nasty witch. “Time I scared her good and proper,” he decided. He needed to think long and hard because Breeze knew that every witch has something she is terrified of. It was Christmas eve and the wood was looking sparkling and festive. The trees were wearing their best winter coats and the birds had decorated some of the lower branches with holly, though the berries were missing. Elegant witch had solved the problem by asking the knitting group to knit holly berries and attach them to the branches. She added her own dash of magic then making the berries twinkle with bright lights. 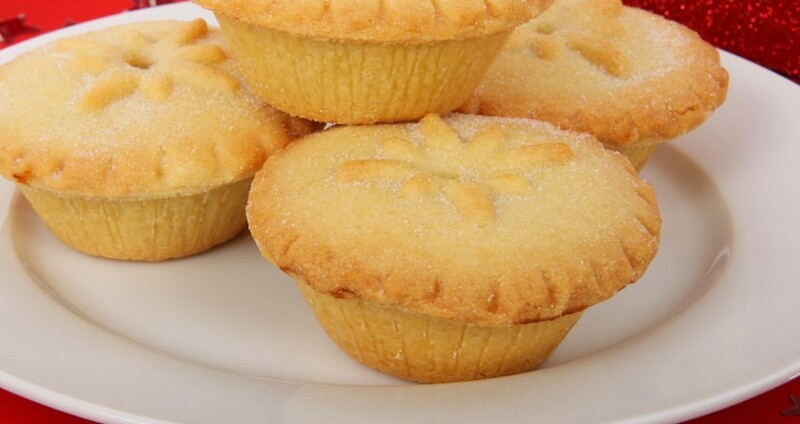 She wondered why he sounded a little cross but decided one of his mince pies would be enough for her. Besides Santa was coming. The table for the midnight party was set and suddenly there was a cold rush of air. A cackle of laughter announced Lovisma’s arrival. She was looking really nasty in a purple and silver pair of leggings and a huge purple flouncy dress. Yuck, you look like a giant blueberry. Matt announced. Her answer to him was with a flick her wand to turn him into a snow ogre. Breeze said, “Be nice or no Santa.” She flicked Matt from snow ogre back to green ogre. Ooh mince pies, Lovisma said. I want one. However, once she started she couldn’t stop. Lovisma kept stuffing mince pies into her mouth until the box was empty. “I feel a little odd.” She said. Lily smiled. “YOu do look a little odd.” And she moved further away. “I can’t be a frog. 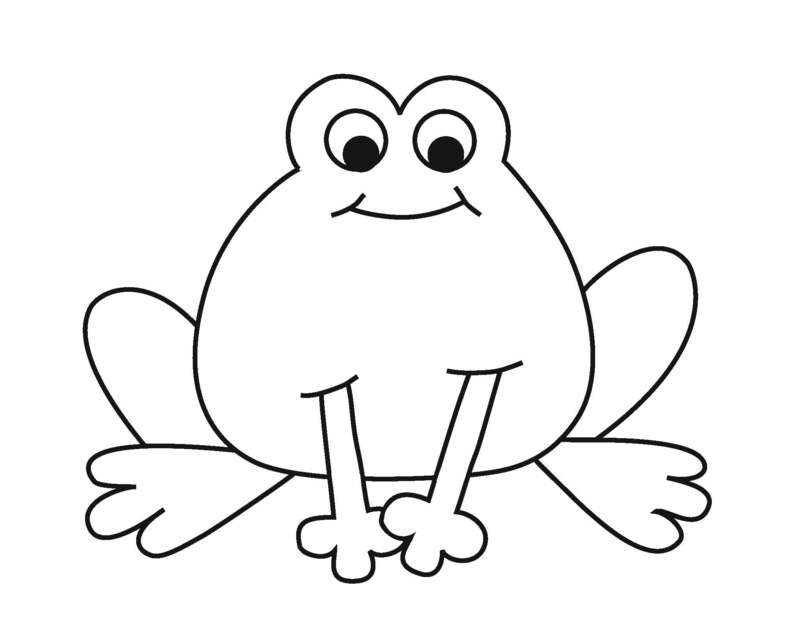 I hate slimey frogs.” Lovisma the frog shouted. After that everyone was happy she had left but they were a little afraid of eating any of his mince pies. It will pull the child from every adult and get us in the festive mood. Constance Claus and an elves wish.